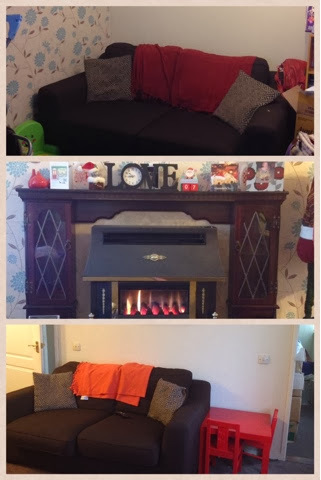 I was recently asked to take part in a competition with Homeserve that involved making a room in my house look or feel warmer for Christmas. Not hard considering I have just bought a house that has no central heating and very undesirable decor. It wouldn't take much to add some nice warm tones and immediately make a huge difference! The hardest part was that I was given a £50 voucher for B&Q and just two days to complete my challenge! Anyway, the room I decided to do was my front room. As decor goes this isn't too bad. It's not to my personal taste but it isn't a complete lost cause. 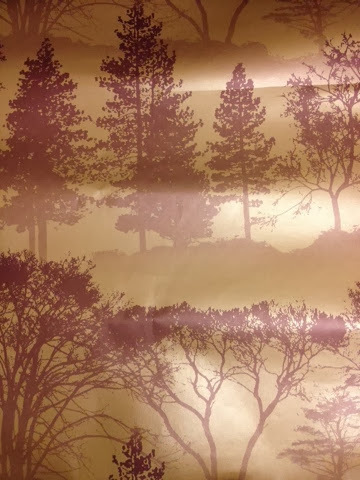 I looked on the B&Q website and it wasn't long before I came across some interesting wallpaper (which wasn't what I was looking for), I instantly fell in love and decided to base my makeover around the gold/purple colours featured in the paper. I decided I would look for some nice cushions/throws and home accessories as I was on a tight budget. 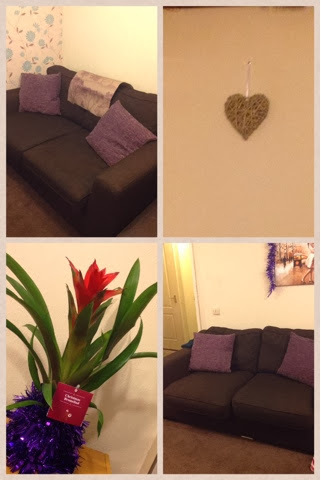 With my non matching throws and the cushions that came with my sofa, my accessories lacked personality and I think a bit of personality can completely change a room. I didn't want to risk ordering online incase the items didn't arrive on time so I went into my local store. First thing I did was look for a sample of my chosen wallpaper to help me match up some accessories. I then headed to the furnishings, there wasn't much choice to be honest I was disappointed that such a big store has such a small homeware section but I did come across some cute purple cushions that matched perfectly. Unfortunately there were no throws but with the cushions costing £9.98 each and needing four altogether, costing £39.92, I had already used a big chunk of my budget. I then had just £11.08 left so needed to use my imagination! I bought a heart wall decoration for £2.98, hearts represent love and you can't get a warmer feeling than that. I then went to look at the Christmas section for inspiration. 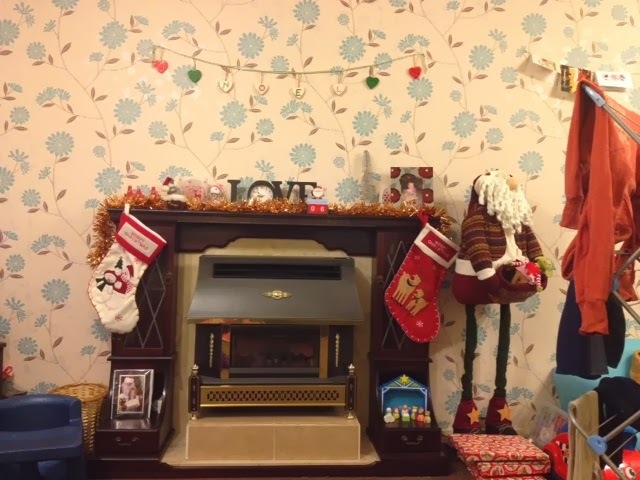 I wanted to make my fireplace look warm and Christmassy. I picked up some gold tinsel for £2 and then I came across a beautiful Christmas plant which is so different to your usual poinsettia flower. It is called a Bromeliad, I had never seen or heard of one of these before but just had to buy it. It reminds me of the Caribean and so brings back warm memories. My total spend was £50.90. I think even though I only bought a few items and my room is far from finished, I have added some much needed warmth and personality into a previously unloved room. It shows how much you can do with a small amount of Money. This competition has made me determined to finish of this room exactly how I want it and will be using my new chosen paper to finish it in the new year. *This is my entry to the Homeserve warm your home for winter competition. I received a £50 voucher to help with my challenge.